Once upon a time, EA had the rights to the Lord of the Rings (film) series, and they made a bunch of games. Many of them were surprisingly good, like Return of the King, but two in particular stood out: the Battle for Middle Earth RTS games. They were very good, combining powerful hero units with elements of siege warfare to craft games that didn’t just make good use of the license, but were fantastic strategy games in their own right. They are also—thanks to the handover of the LotR license from EA to Warner Bros—sadly all but forgotten, since you can’t buy the games anymore. 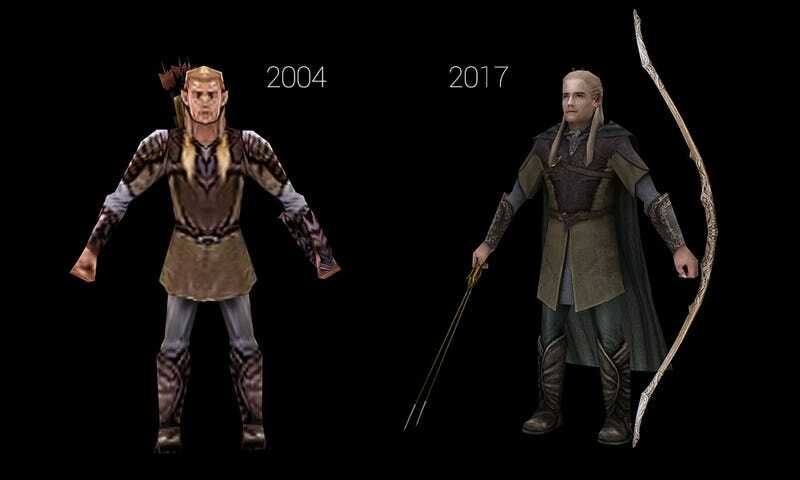 That hasn’t stopped a pair of fans from bringing the first Battle for Middle Earth, released back in 2004, into the modern era. They’ve released a visual overhaul for the game that transforms the units and heroes from blocky little lumps into HD characters that more closely resemble their on-screen counterparts. Designed for use on T3A: Online, a server that lets BFME live on after EA’s official servers closed down in 2010, you can download the HD files here.